Offered for sale is this stunning harbour side apartment. It offers stunning views, 3 double bedrooms one being en-suite, family bathroom and kitchen/diner. Secure allocated parking space. Assured shorthold tenancy in place, £850 received for rent. Currently held on an assured shorthold tenancy with tenants paying £850 PCM. ENTRANCE HALL Security entrance phone, storage heater, coving, storage cupboard, airing cupboard housing immersion tank, doors to all rooms. LOUNGE 12' 1" x 11' 5" (3.7m x 3.5m meaurements of bay windows not included) Front and side aspect windows to harbour views, two storage heaters, tv aerial point. KITCHEN 14' 9" x 8' 2" (4.5m x 2.5m) Range of base and wall units with work surfaces over, inset sink and drainer, built in oven with hood and hob unit over, built in washing machine, built in dishwasher, tiling above worktops, side aspect double glazed window. BEDROOM ONE 12' 1" x 9' 6" (3.7m x 2.9m) Side aspect double glazed window, wall mounted electric heater, built in wardrobe, tv aerial, door to ensuite. 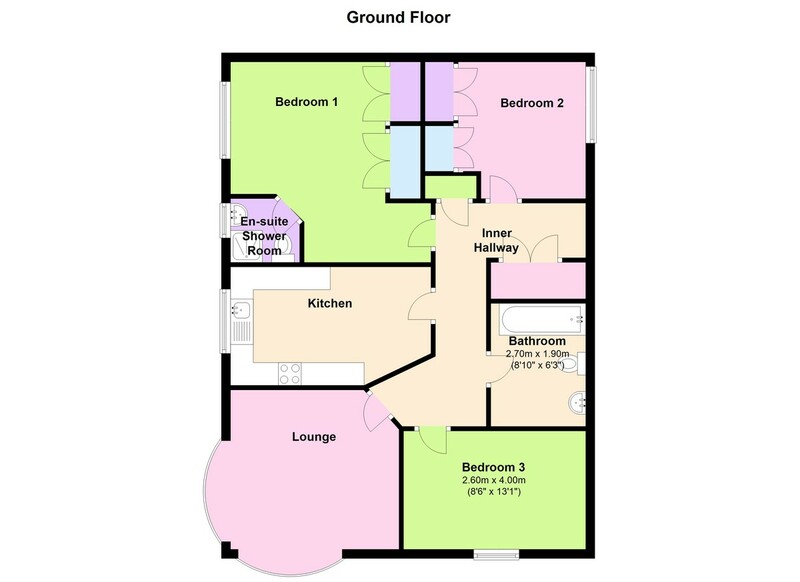 ENSUITE Side aspect double glazed window, pedestal hand wash basin, WC, walk in corner shower cubicle, shaving point. BEDROOM TWO 10' 9" x 9' 2" (3.3m x 2.8m) Side aspect double glazed window, wall mounted electric heater, built in wardrobe. BEDROOM THREE 11' 1" x 10' 9" (3.4m x 3.3m) Front aspect double glazed window with harbour views, wall mounted storage heater. BATHROOM Low level WC, pedestal hand wash basin, inset bath with shower over, tiled floor, tiling, coving.